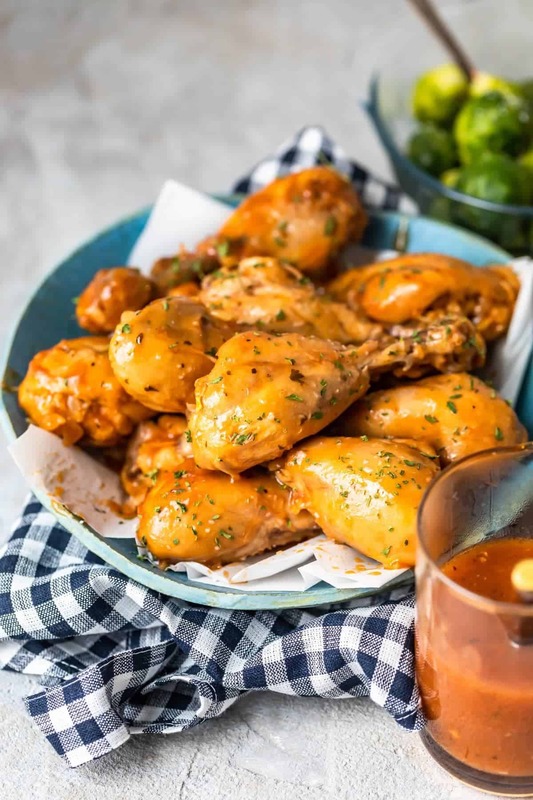 Slow Cooker BBQ Chicken Drumsticks feature an easy Homemade BBQ Sauce that is to die for! Everything cooks together in the crock pot and at the end of the day you’re ready to eat! This is our go-to easy family meal when we are craving homemade bbq chicken. 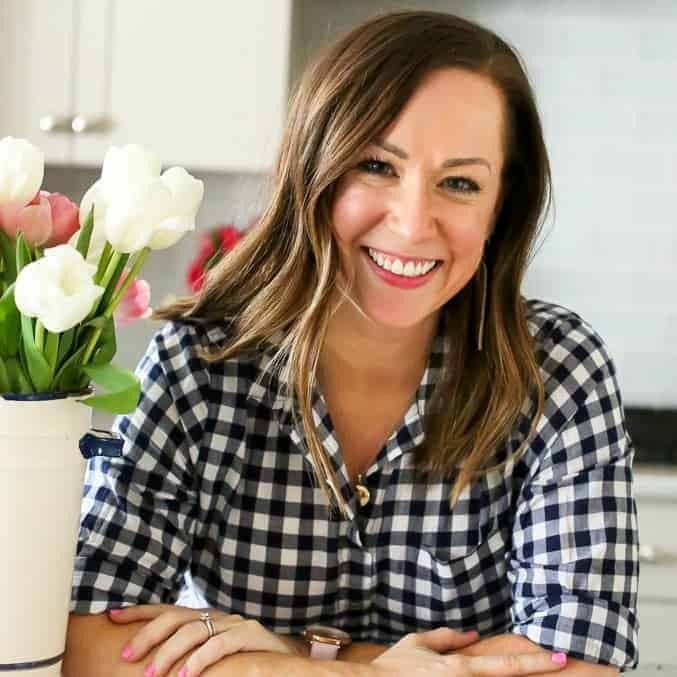 I love a good bbq dish, but with a busy schedule and a little one running around, making it to our favorite bbq joint isn’t always possible. Thankfully, when I’m craving my weakness, bbq chicken drumsticks, I can make them any time of year, without ever having to leave the house! This amazing slow cooker bbq chicken recipe isn’t done on the grill, or in the oven. I know, skipping both of those options when it comes to making bbq might sound crazy but just trust me! Just grab your handy slow cooker and get ready to have some of the best bbq you’ve tasted in a while! 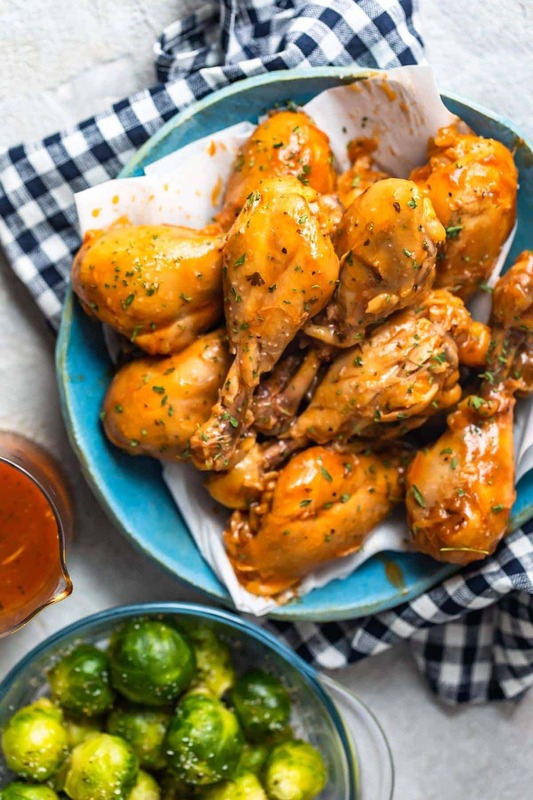 Juicy slow cooked chicken drumsticks drenched in a sweet but spicy homemade bbq sauce will leave you coming back for seconds and maybe even thirds! 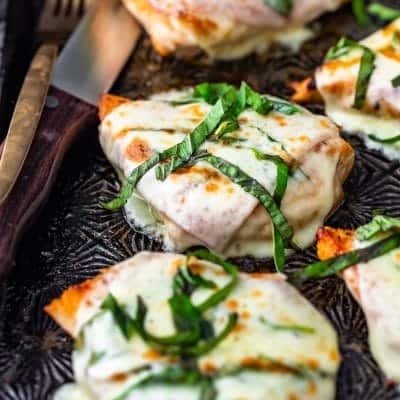 Making bbq chicken at home doesn’t have to be a hassle and you don’t need a big fancy grill or smoker to get the resturant style quality either! For this meal, you just throw everything in your slow cooker and let it do it’s magic! Just look at home simple these directions are! You just stir together all the ingredients except the chicken in a small bowl, then place chicken in a large slow cooker set on low heat. 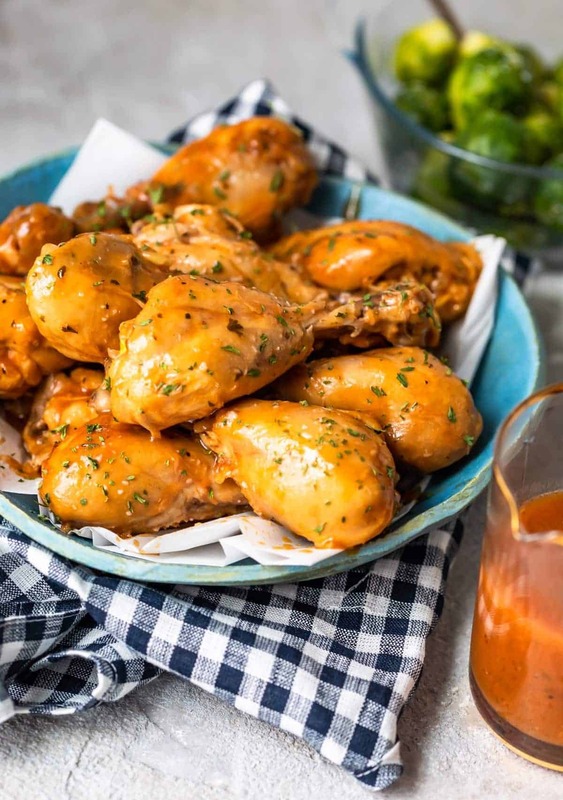 Next, pour the ketchup mixture over the chicken, using a spoon to make sure all the chicken is coated and cook on low until the chicken is fully cooked. After chicken is cooked, you can serve as is or take a portion of the bbq sauce/cooking liquid and heat in a saucepan. Bring to a boil and then reduce to a simmer until it’s thickened to your liking. What I love even more than the simplicity of just throwing this in the crockpot, is that it doesn’t call for any obscure ingredients. Most everything on this list is stuff I have on hand at almost any given time, which make for the perfect throw together dinner. Simply pick up these simple ingredients and you’ll be good to go! Can I Make This Homemade BBQ Chick in A Pressure Cooker? If you want to make this recipe a little faster, you can definitely throw it into your pressure cooker. You’ll just need to see the directions below for a few modifications. Place the chicken legs on the trivet and Pour the homemade bbq sauce on the legs and spread with a basting brush. Lock the lid of the Instant pot and cook on high pressure for 10 minutes, followed by a 10-minute natural pressure release. Release the rest of the pressure manually, then when the pin drops, remove the lid. Can I Use A Different Type Of Chicken? 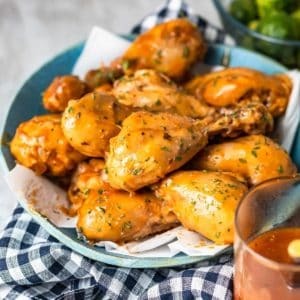 I personally like this recipe best with chicken drumsticks but you can still use other types of chicken too. 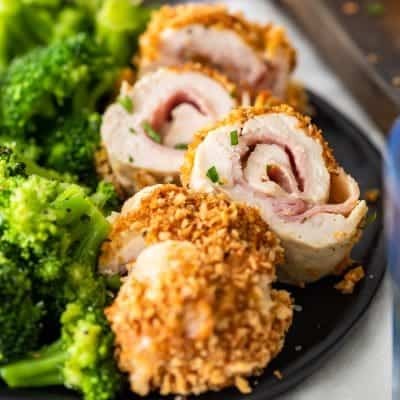 Chicken breasts, tenderloins, or thighs will all work fine for this recipe. Don’t cook it too high: Make sure to keep the heat on low at all times for this recipe. If you try to speed up the cooking time by raising the temperature, you run the risk of drying out the meat or possibly undercooking the meat. Thicken the sauce: For a really thick and flavorful sauce, you’ll want to take one extra step after removing everything from the saucepan. Take 2 cups of the bbq sauce/cooking liquid and heat in a saucepan. Bring to a boil and then reduce to a simmer until it’s thickened to your liking. Use fresh ingredients: Be sure your ingredient used for the sauce are as fresh as possible. Old spices and other ingredients can lower the intensity of the flavor and leave you with a bland sauce that won’t wow anyone. So, just remember to check your expiration dates. If you’re wondering how long your spices last, check out this great guide to storing spices. 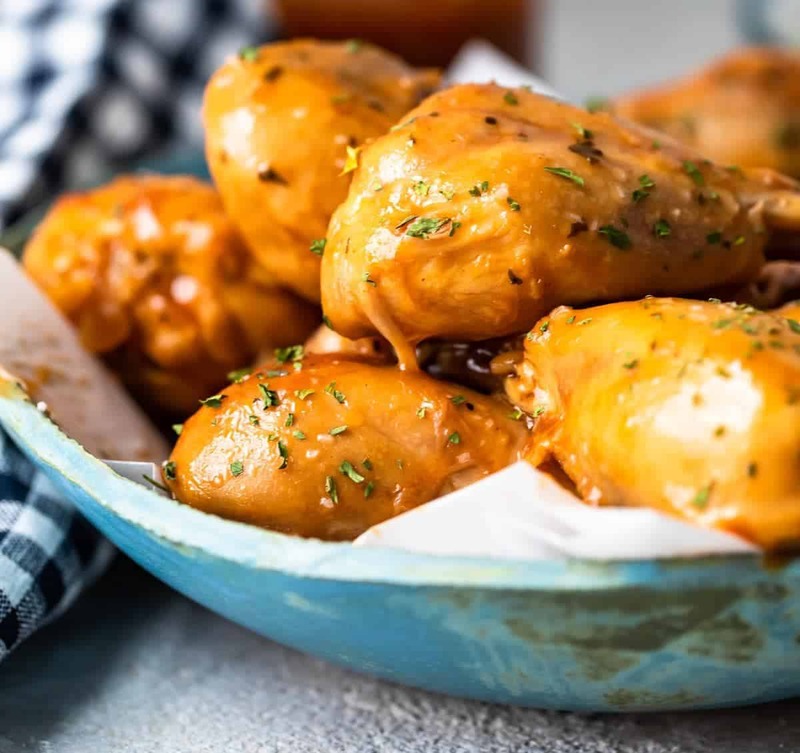 Barbecue is a backyard party’s best friend so next time you’re having all your friends over for a little summer get together, skip the messy grill and make this slow cooker bbq chicken instead! Don’t forget to throw together a few backyard party staples as well! Here are a few I always keep in my back pocket. Love This Recipe? Then You Have To Check Out These! My motto is always that you can never have too many chicken recipes. So why not add some more to your dinner menu for the week! Here are a few of my favorite quick and easy recipes to make during busy nights! You can never have too many recipes that are this easy, so why not add this one to your recipe list? 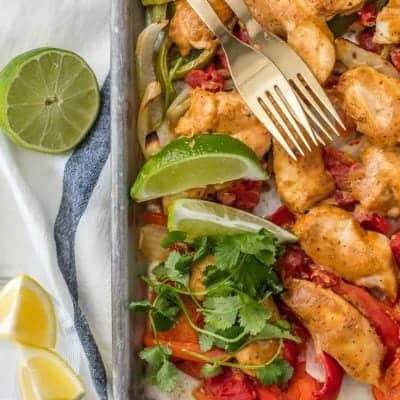 With a bbq chicken this delicious and simple to throw together, dinner will be a breeze! 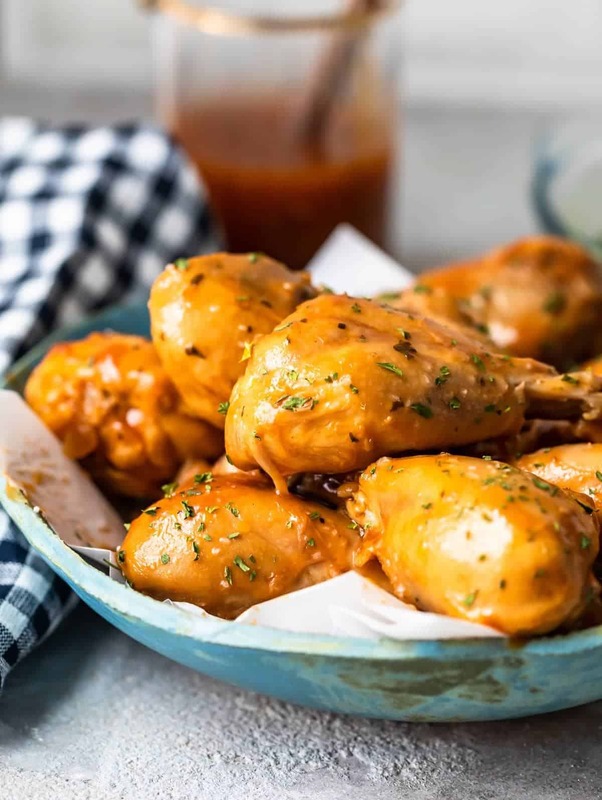 These chicken drumsticks are my new obsession, and I know you’re going to be obsessed with them too! Be sure to check out my other recipe and fun updates on Facebook and Instagram, so you never miss a new post! 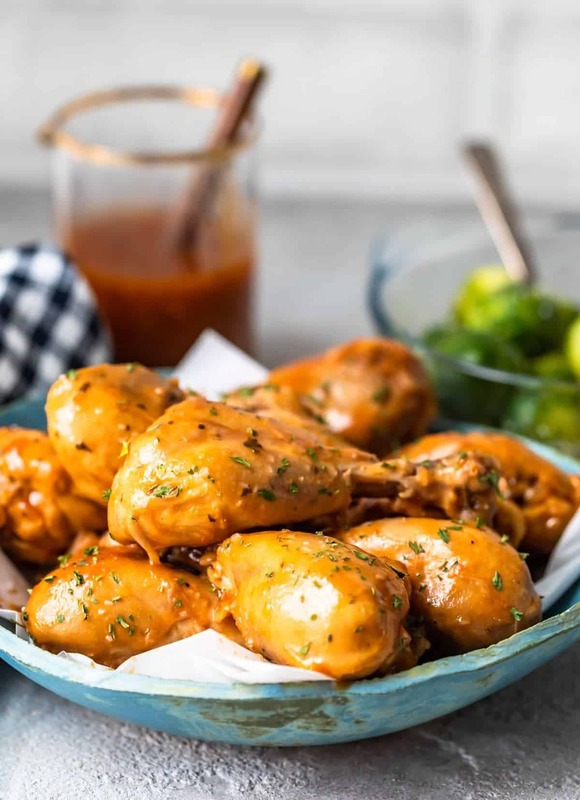 Slow Cooker BBQ Chicken Drumsticks feature an easy Homemade BBQ Sauce that is to die for! Everything cooks together in the crock pot and at the end of the day you're ready to eat! This is our go-to easy family meal when we are craving homemade bbq chicken. In a small bowl, stir together all the ingredients except the chicken. Place chicken in a large slow cooker set on low heat. Pour the ketchup mixture over the chicken, using a spoon to make sure all the chicken is coated. Cook for 5-6 hours on low or until chicken is fully cooked. After chicken is cooked, you can serve as is or take 2 cups of the bbq sauce/cooking liquid and heat in a saucepan. Bring to a boil and then reduce to a simmer until it's thickened to your liking. 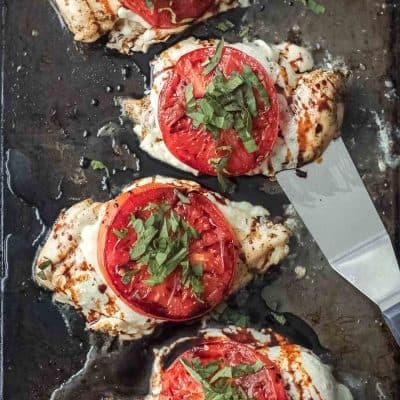 Made these with the drumsticks and chicken breasts…so good!! These are mouth wateringly good! 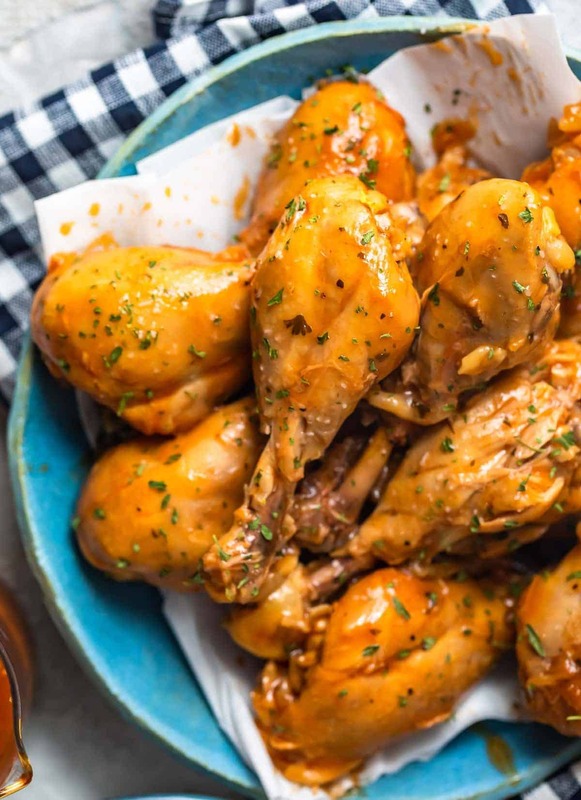 This Slow Cooker BBQ Chicken Drumsticks recipe is the perfect weekday recipe. Made these for Sunday family dinner last night and they were a huge hit! Just a pile of bones were left. This chicken was met with two thumbs up from the whole family! The sauce was amazing! 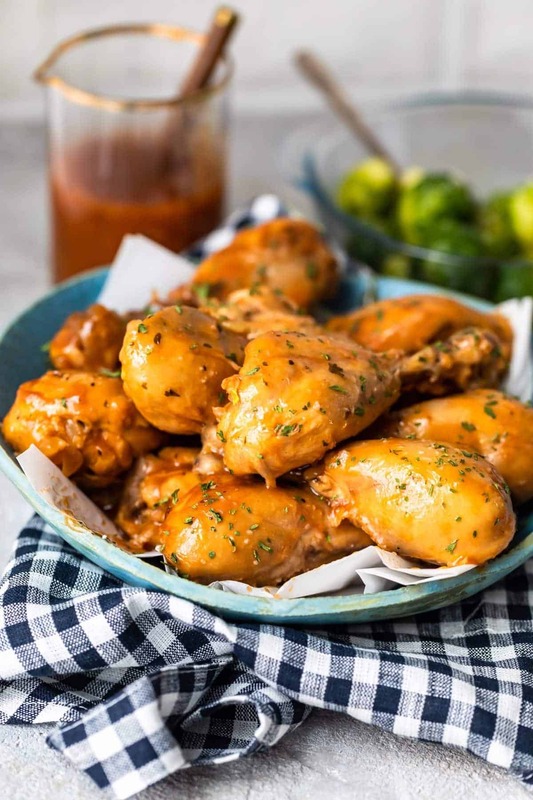 The drumsticks were delicious plus I’ve now found a easy, yummy BBQ sauce! I wish I could substitute something for the OJ and vinegar. Not something I’ll be using again so buying the containers just to use a small portion. These are perfect for dinner or an appetizer for a party! This looks and sounds amazing! Hubby is going to love this! So happy I tried this recipe! I have some picky eaters and they asked for more which never happens. These were really amazing! It was a huge hit!